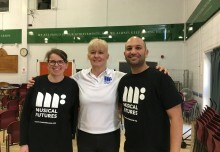 Musical Futures Champion Schools were originally set up in the UK in response to the positive reactions experienced when teachers talked about their experiences in the early days of MF to other teachers. The benefits of holding training in schools so that delegates could see the layout, use the resources and meet some students and talk to them about their experiences, grounding it in the reality of the day to day demands of doing the job were clear. 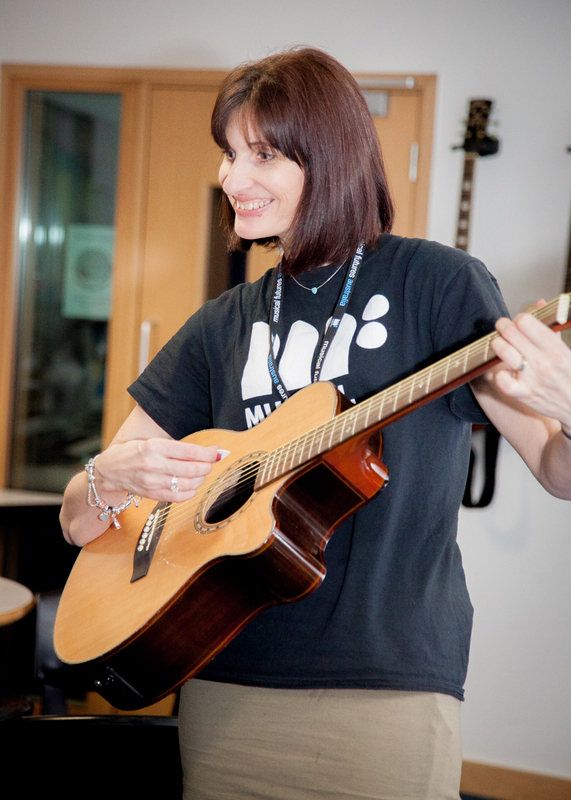 Musical Futures in the UK in the last few years has been really diverse, from departments where MF is fully embedded and used across the curriculum by all staff, to schools where one teacher flies the MF flag alone despite the reluctance of colleagues. However, the teachers and schools that host training for us have played a major role in the growth of Musical Futures and I am proud to be one of them. 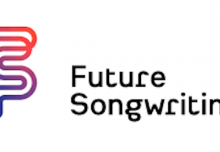 In fact we recognise the value not just of champion schools where Musical Futures is embraced and embedded by all staff, but also of those champion teachers who live, use and share Musical Futures in their own personal teaching an take an active part in the Musical Futures online community. 2. To contribute and share ideas and resources with other teachers and with Musical Futures. The ‘Take, Use, Innovate, Share’ concept grew from the idea that it’s OK for MF to look slightly different from school to school, as long as the key principles are in place. 3. To have an open door policy and welcome visitors to lessons (within reason). I had visitors from across the world in my classes, all looking for slightly different things. My tactic was to choose a day where I had a Y9 class followed by a non-contact period and stuck to the same day for each request to visit. This way the students got used to visitors, they really responded to it and there was time to discuss the lesson afterwards as well. It’s great for taking a step back and looking objectively at the lesson, feedback was usually good but I also found myself having to explain the thinking behind what I do which is always a really useful process. At the end of the presentation I realised that although these are things we ask of our champion schools, they are also really positive for the teachers involved. And so if that is the case, surely we should all view ourselves as champion teachers and follow those 3 guidelines across our departments. Imagine how effective that could be?